Harry & Joan in "Hue & Cry"
Joan as Grena in "Murder without a Crime"
Laindon had two famous Joan’s, who were close contemporaries. Joan Sims of “Carry on” fame, and Joan Dowling child star of “Hue and Cry”, the first of the Ealing comedies. 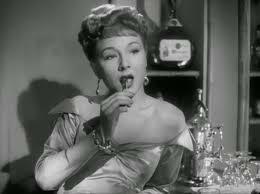 She went on to star in numerous plays, pantomimes and about 20 films, before tragedy struck at the age of 26. Joan Dowling was the illegitimate daughter of Vera Martin of Upton Park. When the unmarried Vera became pregnant, she was sent to her maternal grandmother, who had lived in Laindon since the early 1920s. Joan was born on the 8th January 1928 at the house called Carlyle. Which is one of the turreted bungalows in the High Road North. During this time she had her first taste of “stardom” by winning a talent show at a circus in Laindon. As far as I have been able to ascertain, she lived there until she was 7 or 8, at which time she moved to Uxbridge. She had a passion for acting, although she was never formally trained, and took roles in small plays, pantomimes and other productions whenever she could. At the age of 14, she approached a London acting agency and was given her first ‘proper’ part in a small production (title unknown). Her major acting debut came when producer Anthony Hawtrey cast her in the role of Norma Bates in the Joan Temple play No Room at the Inn. The play’s first performance was at the Embassy Theatre in July 1945. Subsequently the play transferred under producer Robert Atkins to the Winter Garden Theatre, Drury Lane. She also played the same role in the 1948 film version, with the screenplay co-written by the famous Welsh author Dylan Thomas and Ivan Foxwell. She signed her first film contract at the age of 17 for Associated British Pictures. This link is to a very interesting Pathe’ newsreel, made at the start of her career. She went on to star in several films, including Train of Events, with Jack Warner and Valerie Hobson and Murder without a Crime, with Dennis Price and Derek Farr. She was perhaps best known for her role as the tomboy Clarry in the 1947 Ealing Studios production Hue and Cry, a story set among the rubble and buildings of post-war London about a group of school children who discover that crooks have been sending coded messages about upcoming jobs to their gang using the pages of a children’s comic. 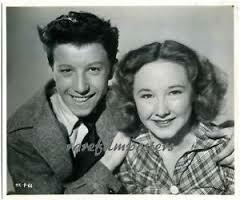 In 1951 she married Harry Fowler, another actor from the cast of Hue and Cry. Joan and Harry were the “Posh & Becks” of their era, a glamorous young couple who were seen at all the film premiers and major social events of the early fifties. Joan was heartbroken when she discovered her husband was having an affair. 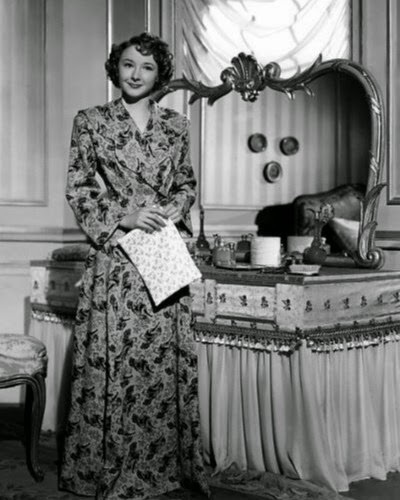 On March 31, 1954 the twenty-six year old actress committed suicide. She was found unconscious in the gas filled kitchen in her West London home. Her official cause of death was suicide by asphyxiation. Joan was cremated and buried in London, England. Her mother and other relatives believe that her death may have been accidental. They think that she was only attempting suicide to scare her husband. Harry Fowler eventually remarried and passed away in 2012. A very sad end to a very promising career. Who knows what she might have achieved. As a vivacious actress of the cockney type, it is easy to imagine her in “Carry on” type roles. Perhaps alongside Joan Sims, her Laindon contemporary. I have found no evidence that the two Joan’s knew each other, but it seems likely that they may have done. Joan’s mother, Vera Martin was my mother’s sister and therefore Joan was my first cousin, a fact of which I am very proud. My mother’s cousin was Harry Fowler and as it was always told me about Joan Dowling, that when she found out about Harry’s affair, she had intended, as you say, to scare Harry. She had expected Harry to come home and find her. Unfortunately, he didn’t come home in time to save her. 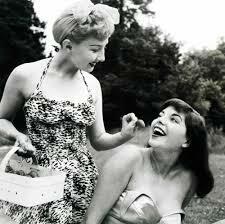 Joan was also great friends with Diana Dors. Apparently Joan was a lovely lady. Gone before I would have known her. Hi Paul. Very interesting piece, I am researching Basildon/Laindon famous people. I was aware of Joan Dowling but not of her Laindon connection. Any chance of you contacting me? Cheers. Ken. Editor: Ken’s contact details have been passed on to Paul.